What is Crazy Egg ? This SaaS-based application provides a very fast, simple and powerful platform for A/B testing to compare the conversion rate of two webpage. It allows you to set up and launch your test in a few minutes and gives faster results as well. It allows you to test your website, landing pages, product pages, and more without any coding. 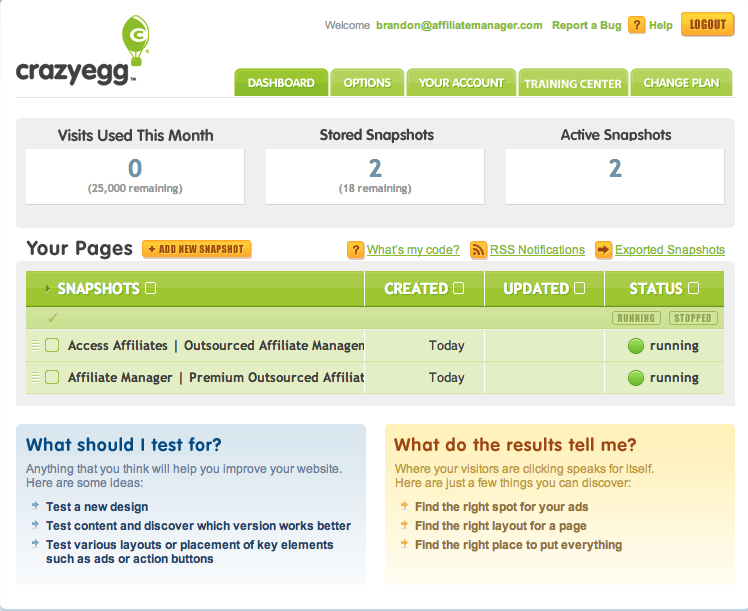 Crazy Egg allows you to compare and test your website and make informed strategic decisions without any hassle. How much does Crazy Egg cost ? The pricing for Crazy Egg starts at $29.0 per month. 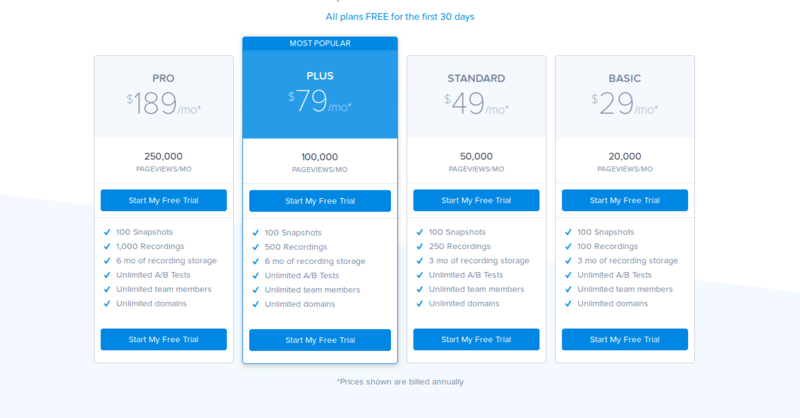 Crazy Egg has 4 different plans such as - Basic at $29.0 per month, Standard at $49.0 per month, Plus at $79.0 per month and Pro at $189.0 per month. Pros: Good functionality - does what it says on the tin. Cons: The thing I like least about this is the scrollmap but still good. Thank you for the review and much appreciated. One of the best things we can hear is that we are what we advertised ourselves to be. People have too much to deal with today the least they can expect is the truth and their expectations to be met. I'd love to talk to you about the Scrollmap. As a CE user for 10 years it's by far one of the first things I turn to. If you'd like to email me back I'm happy to share some of how I use it and what you might find valuable too. "Product doesn't work properly. And they secretly billed me for a year and to the wrong card." Not much as it doesn't work effectively. Doesn't work and extremely poor system and customer service. Pros: It is extremely effective in getting an understanding of what's working and what's not on individual pages of your website. While Google analytics might be great for a top level view of what content is working and what's not, Crazy Egg is best for getting more granular and seeing what individual elements of page draw attention and which don't. 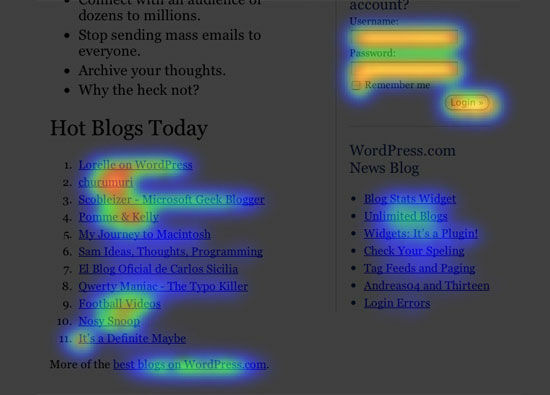 Cons: It would be better if there were more ways to view attention and heat maps visually. If you could integrate mouse movements to the basic heat map that would be better. Annual pricing only is also a sticking point. Overall: We did find it to be the best overall, with easy setup in tag manager and no extremely excessive adverse effects on page or site speed. Great for when you need insights and A/B tests. I like the simplicity of establishment and the diverse perspectives you can get rather than only a nonexclusive warmth map. The instrument is easy to understand and not specialized such that the vast majority could simply lift it up and use it without a great deal of extra preparing. We have had the capacity to increase helpful bits of knowledge to what clients are doing when they achieve key pages on our site, by following their conduct we have had the capacity to execute various changes to our site which have brought about higher transformations. Setting up individual URLs is simple, however when it is a solitary URL that is part at a testing source, you need to burrow somewhat more profound to set that up. It's not hard, however that set up is covered and harder to discover. In the event that you just need click maps (counting click circulation) and parchment maps then this device is for you. It's the following stage up from Google Analytics heat mapping. It is anything but difficult to actualize, oversee, and get it. An unquestionable requirement have device for testing site convenience. It is an extraordinary device at the cost and has simple establishment. I wouldn't delay to prescribe the apparatus to any individual who is in need and thinking about the device. 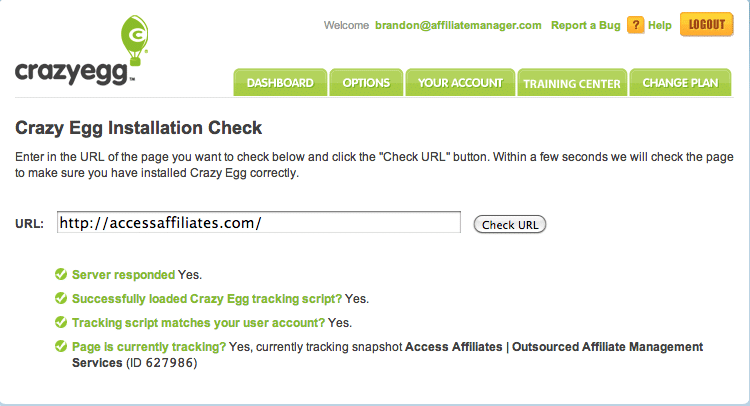 We are utilizing Crazy Egg related to our A/B testing instrument to increase extra knowledge to our client's conduct. We have understood that there is a whole other world to investigation than just numbers and we need an instrument like this to portray client conduct. I'm ready to perceive how site guests associate and draw in with pages on our site and see what sorts of suggestions to take action, catches, content, offers, and so forth are working and what isn't so I can keep on influencing enhancements to our site and us to improve change rates. Pros: Crazy Egg is a nice product to see what's going on on your website. It is an easy-to-use platform with quality videos and tracking. Cons: The A/B testing could be more smooth, but overall a very good product. Pros: Crazy Egg is so easy to use! 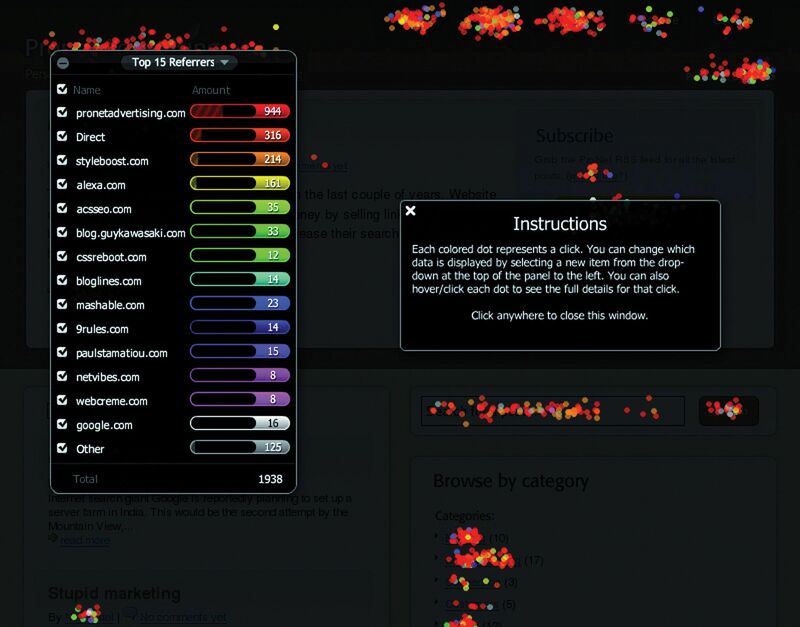 You can create interesting and dynamic heatmaps showing the areas of your site that users are visiting, as well as other user tests. Cons: This software is pretty easy to use - I don't have any issues with it. Thanks Brooke! Appreciate the feedback and support here. You've also really captured some of the key points we try and do well when it comes to our software (simple yet dynamic, easy-to-use). We'd love the opportunity to talk to you more and share some of what we're working on and developing if you're interested. I've shared my email address with you directly so you have it. Thanks for sharing your thoughts and for believing in Crazy Egg! See how users interact with your site! 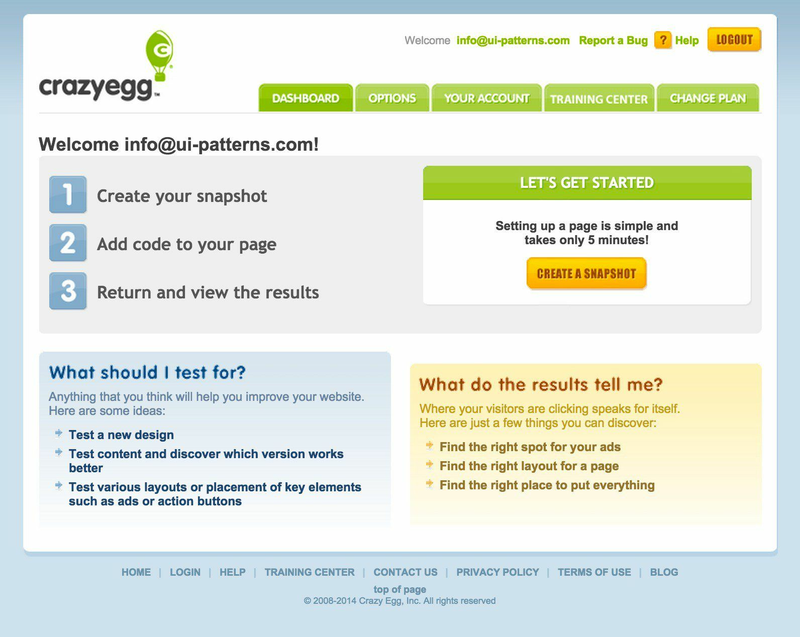 Pros: Crazy Egg is great for analyzing how new websites perform with live users actually using it. It was also great for giving us ideas on how to improve existing sites. Cons: Time consuming, hours and hours of recordings to watch and annotate. Overall: Really helped us to optimize several websites with real data and iron out a few issues we were seeing with the consumer funnel. Pros: The operation is very simple and easy to understand, I found it on the first day, the website is very easy to use. Cons: There are two biggest points that make me unable to give this software a good evaluation. 2) Customer Service: I guess Crazyegg's customer service is outsourced to a third-party company. Usually I send a letter to ask questions. After two weeks, I get a reply from the outsourcing company (but I can't reply very carefully), so I have to explain the details, then After another two weeks, the outsourcing company responded again, but still couldn't get a satisfactory answer. And it took me almost a month. Now it is the Internet age. Is it so difficult to pass the information? How can I not do it instantly? After all, this is A data monitoring software, a lot of data is necessary to make decisions now, otherwise the time will pass, such as when doing big activities, I need to find out where the problem lies within half an hour, and then quickly ask the engineer to change the code, this It is the click and revenue of Shaoguan company. 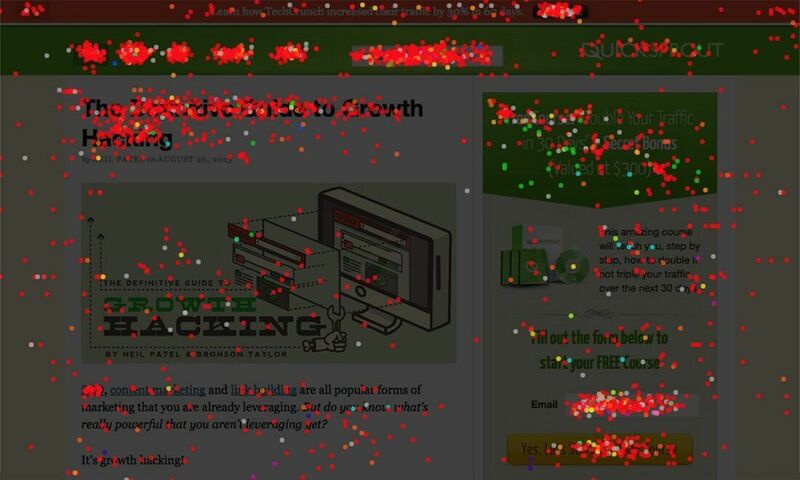 Cons: Heatmaps and scroll maps are only mildly useful for how users interact with your website. Crazyegg's Recordings feature is more useful in viewing how users navigate the site but this is an extra cost. It would be helpful if they offered additional information such as trends. Eg, month-over-month % of traffic clicking X button change. Hi Sarah! Thanks for this review. We appreciate your feedback on our Recordings (we continue to update that product line). We've also got some exciting things happening on the Snapshots side (heatmaps, scroll maps). Given your POV, I'd love to talk to you and invite you to participate in some early testing we're doing. I've shared my information with you directly in the event you are interested. Looking forward to doing more to meet your needs here.